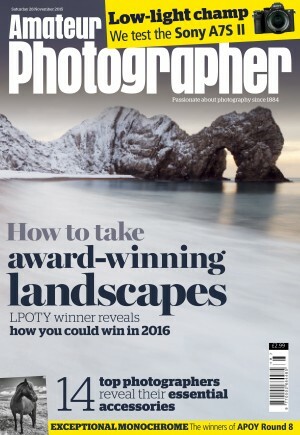 GDPR impact on photography, street photography, travel photography, etc. Discussion in 'Talking Pictures' started by EightBitTony, Apr 27, 2018. So I've seen some scare stories about how the GDPR will require model releases for every identifiable person in a photograph if it's to be used for anything other than a 'personal record'. i.e. if it shows up in a book, social media, web site, print for sale, etc. and has an identifiable person (i.e. their face, or enough of their body to uniquely identify them) then you'll need a model release, and you'll need to deal with GDPR in all regards (i.e. if they subsequently ask to be forgotten, you'll need to handle that). I can't personally see how that could be a true interpretation, but I can see how it might be a valid fear. Does anyone have access to more facts about that - or professional advice? There is a clear statement that "The GDPR does not apply to .... processing carried out by individuals purely for personal/household activities. However the IDPC suggests that if you want to publish a picture the "photographer may be subject to action (depending on the nature of the case) by this Office if a complaint is lodged or may even face a civil claim for compensation from the individual(s) concerned." so it might be argued that all street photography is now forbidden within the EU. This might be the first meaningful excuse for leaving the union that has been advanced. That document you've referenced hasn't, as far as I can tell, been published. But I've seen links to it (the street photography one). And I wonder if it was for consultation, but then never actually included. If you look for the file on the web, there's a lot of references to it NOT on the ICO website, but none ON the ICO website. I've seen the doc, but don't know if it's official in the GDPR, if you see what I mean. That document you've referenced hasn't, as far as I can tell, been published. We are going to be fooked then around main tourist sites. It is a struggle to get a decent pic without anyone in it at the best of times, and now have to run around getting forms signed. Would showing it on a site such as this or flikr mean it is published? What a load of bollox. Oh dear. Bad news then. Have AP covered this anywhere? GDPR isn't going away even if we leave, given it's been heavily led by the UK anyway and there's already been a clear statement (somewhere, I can't find it) that it's staying post-Brexit whatever happens. Ahh well. Once the PPI parasite companies have closed we can look forward to companies that will sue on our behalf because we happened to get in the way of someones camera. "If, due to the restricted circumstances of the shot, the photographer is not a realistic position to obtain the consent and would still like to use the photograph for purposes falling outside the household exemption, this Office recommends the blurring of the face as a possible approach to render the individual unidentifiable. " I think AP should do an article on it. I've lost the page in my ipad.. the ability to have 2 windows open is a plus for computers. There was a recommendation that, in the case of any uncertainty, advice should be sought from the Commision office. That seems to be asking for a few million "is this picture OK to publish" inquiries. All I can say is what an effing nightmare. Catriona and EightBitTony like this. After a bit of reflection on this I wonder if the whole GDPR is a rather nasty attempt to castrate investigative journalism. Many of the most important breakthroughs in the last 15 years have come from the efforts of Wikileaks and their like but that is going to be not so much chilled as deep frozen. Although dressed up as something to protect the ordinary citizen it looks on closer examination to be calculated to silence the investigative journalist in the same way as the data protection bill. The GDPR itself is supposed to contain safeguards for investigative journalists but no one on the regulatory side has stated publicly how these safeguards will be maintained and applied. This could be yet another poll tax moment when people realise they have been conned into trading an illusion of data security for ever greater secrecy for the scum that have risen to the top. No need to panic, unless you live in Malta, IDPC is a Maltese site! Well spotted So, I'm back to my 'it's not published by the ICO anywhere'. Mea culpa - I should have checked the top level domain. In the meantime this chap has a take on what he thinks is the current state of play. That makes no difference. It is an EU institution. If you google GDPR and photography you get a lot of hits. Your link seems a lot more sensible and a better reflection of such EU (= national) case law as I have been able to find. This is probably an unpopular point of view but this whole thing smacks of the dangers of unenforceble laws - namely that whenever a law is unenforceable it tends to get ignored apart from occasional random box ticking charges which owe more to bad luck than to anything else. Its power (in the UK at least) will depend entirely on what case law develops around it and until such case law comes about - which cannot happen until it is actually on the statute books. So if the first test cases are thrown out by judges looking at common sense there is little to worry about but if joe bloggs wins millions because a local gallery exhibits a shot of a local festival with him in it cuddling a blonde when his boss thought he was at home in bed with the flu and his wife is brunette then we all better give up everything except wildlife and sunsets. then we all better give up everything except wildlife and sunsets. There are specific exceptions for art and freedom of expression as these are protected by human rights law. Again I am not actually concerned as the whole art/freedom of expression just adds to the whole unenforceable bit and it is therefore likely to be ignored for the most part. I mean a few years back there was a similar fuss about cookie notices law changes - and there are still a significant number of small personal websites that do not comply with them and nothing ever happens to them - its ignored.